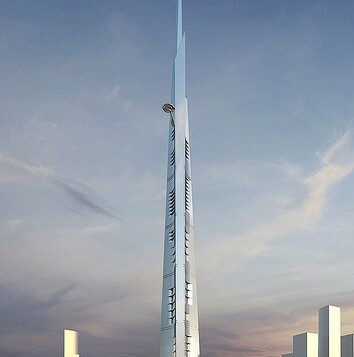 Engineers working on the Kingdom Tower, a 3, 280-foot-high construction intended for Jeddah, in Saudi Arabia, are beginning tests on the materials they’ll need to use to construct it. 3, 2800 feet is a little over half a mile, and as a result, advanced materials and techniques will be needed both for the tower itself and for the process of constructing it. For the final construction, engineers will face challenges like figuring out how to match elevator technology to the new elevation – how to transport people vertically for distances of half a mile or more in an acceptable time without making it feel like the world’s most incongruously upmarket fairground – and how to circulate air, water and other essentials around the building. But that will have to wait until they’ve figured out how to build it at all. Before the tower even gets off the drawing board, engineers have two major problems to overcome, depth and weight. 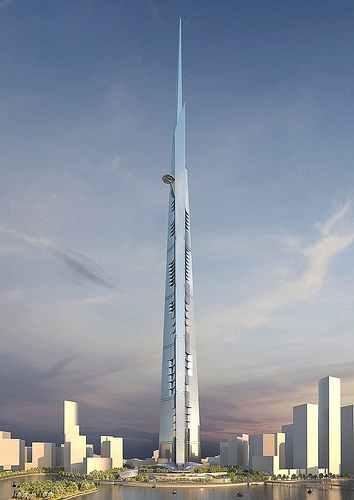 The Kingdom tower will require foundations around 200 feet deep, which means they’ll penetrate the (salt) water table. Since salt water is notoriously corrosive to steel and concrete, which are certain to be the tower’s two main ingredients, this will present a new set of engineering challenges. After this is solved, at least in theory, weight must be addressed. The tower will likely contain over 80, 000 tons of steel. That will have to be mixed with new blends of high-strength concrete to cope with the increased stresses of the kilometre-high tower. When the tower simply stands erect, the forces acting on it will mostly be compression – the weight of the floors above will press down on those below, and the walls and skeleton of the building will need to be strong enough to resist. But when the wind blows, the whole building will act like a giant beam, with a mixture of tension, compression and shear forces distributing themselves along its height. That will require even more strength from the building’s structural components. Having figured out how it’s to be done, though, the engineers will have to figure out how to do it. When Vadim Makhorov and Vitaliy Raskalov climbed the still-unfinished Shanghai Tower, they passed through clouds on the way up. The Kingdom will be significantly taller – a third again higher, in fact – and while, unlike the plucky Russian duo, workers on the project will have safety equipment, they’ll also have a near-impossible job to do when they get to the top. Concrete in buildings like this is poured, pumped under pressure from a base station through a tube that’s normally no thicker than six inches long a swinging arm to allow it to be laid over the steel rods that hold the building together. That involves some pretty impressive forces on the second floor. Half a mile up, it’s a whole new game. Something similar has been done before, though. When the Burjj Khalifa went up, an engineering team led by Samsung was able to pour almost six million cubic feet of concrete through a single tube, thanks to innovative pump design from German firm Putzmeister. The Burjj, though, is still not quite Kingdom Tower sized. It’s always possible that the Kingdom Tower itself might never get off the drawing board. But the methods used to build it will be used, even if that’s for other projects. As Dr. Sang Dae Kim, director of the Council on Tall Buildings, told Construction Weekly, ‘in terms of practicalities, we don’t need to build at two kilometres – but someone with a lot of money might still want to do it.’ The technology will be developed with one eye to the Kingdom Tower, then – and one to the future. 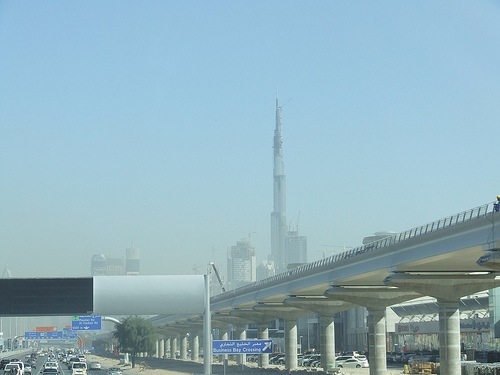 Development in Dubai froze or stalled in many cases following the 2008 crash. But gradually, Dubai’s property market has started to recover and stalled or partially shelved projects are returning. Dubai’s property market has climbed steeply this year – while it did not make gains comparable to the pre 2008/9 boom years, but still represented among the sharpest gains in the property sector globally this year. 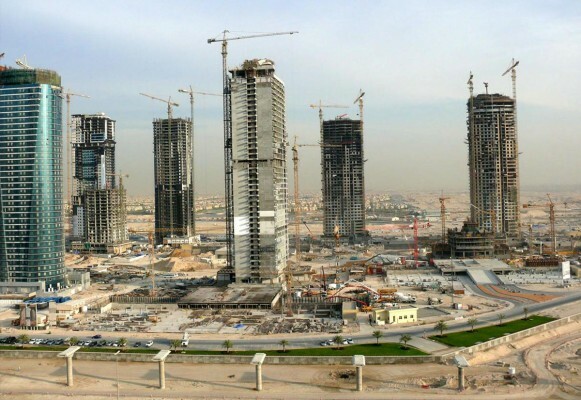 This week three of Dubai’s stalled projects were restarted: two in Jumeirah Lakes Towers and one in Business Bay. They have been revived under the Dubai Land Department’s (DLD) Tanmia initiative. The project in Business Bay has been taken over under the Tanmia initiative by Pacific Ventures and has been renamed Burj Pacific. Pacific Ventures has confirmed that the project will be relaunched this month. “We recently took over one project in Business Bay,” Parvez Khan, the Chairman of Pacific Ventures confirmed to news website Emirates24/7. “The majority of the original investors have agreed to continue with our project. We have new contractors on site and work has commenced.’ Burj Pacific is a 21-storey residential tower, comprising 150 apartments and penthouses. 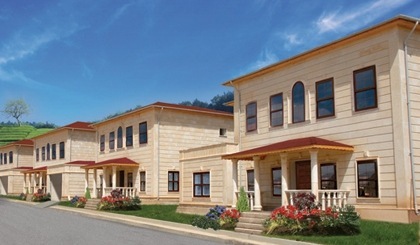 The project is due to be completed by 2015. Mr. Khan’s company told Emirates24/7 in June that his company was planning to spend Dh50m over a two-year period to take over projects listed under the Tanmia scheme. Tanmia – Arabic for “development’ – is the DLD’s scheme, launched in September of 2011. It’s aimed at getting semi-government and private investors on board to get stalled or endangered projects completed. Currently, the development is auditing over 100 projects. 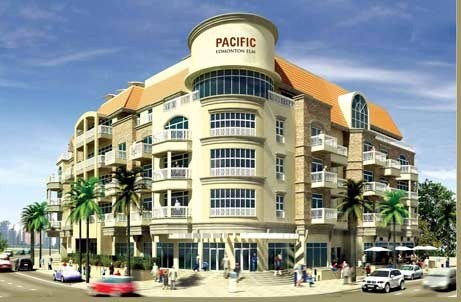 Pacific Ventures, Mr. Khan’s company, has already taken over two projects in Jumeirah Village Triangle. These projects have also been renamed, as Pacific Residencia and Pacific Edmonton Elm. The company is also on track to take over a project in Dubai Sports City. Mr. Khan says that the majority of the “old’ investors in the Edmonton Elm project have decided to continue investing in the project, though ’15 per cent are defaulters… we will seek cancellation of their contracts through proper legal channels.’ The Pacific Residencia project’s building is over 40% complete and the project’s original investors have overwhelmingly decided to stay with it. Despite the good news from Dubai’s housing market and the organizational aid from Tanmia, the future may not be entirely rosy for the Dubai property market. A boom in building luxury apartments has meant that the residential market in Dubai is unduly weighted towards a cohort of high earners who aren’t there – there’s approximately a 15% oversupply in this area. 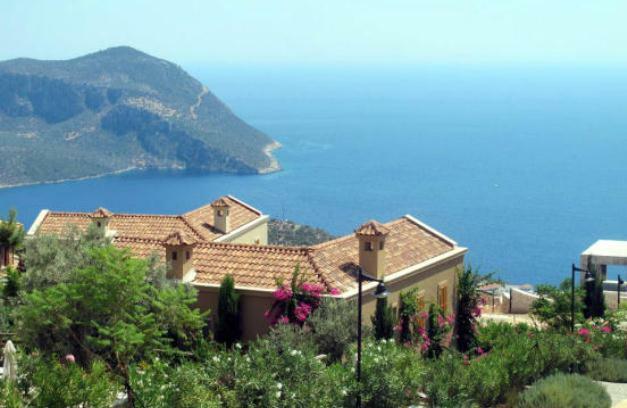 However, this may to some extent be made up for by the increase in value of midrange properties – up 20% in the last year, according to economist Farouk Sousa – and a “misfortune dividend’ as the chaos of the Arab Spring makes Dubai’s stability desirable. 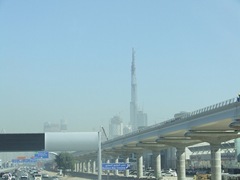 Development in Dubai froze or stalled in many cases following the 2008 crash. But gradually, Dubai’s property market has started to recover and stalled or partially shelved projects are return. Dubai’s property market has climbed steeply this year while it did not make gains comparable to the pre 2008/9 boom years, but still represented among the sharpest gains in the property sector globally this year. The city is a proposed solution to an impasse in Saudi national life: women want more independence, and the economy needs their labour, but Saudi society is strictly segregated. The country is governed according to Sharia law, and one result is that women’s lives are highly controlled, to a greater degree than almost anywhere else in the world. Saudi women are, notoriously, forbidden to drive, but are also not legally permitted to travel alone with a man who is not their husband, or to pray at mosques without special female prayer sections. Women will vote in Saudi local elections for the first time in 2015, and the 2012 London Olympics were the first to feature female Saudi athletes. Women are segregated at work, too: of the 15% of Saudi women who work, most work in female-only companies. Saudi Arabia regularly comes in for a drubbing from human rights groups for its repressive attitude toward women. However, the reason for the creation of the female employment enclave is likely to have relatively little to do with foreign pressure. Hussa al-Aun continued her statement by saying that the special training centre should ‘train [women] to work in factories. This is essential to cut our graduate unemployment rate.’ The city in Hofuf is expected to create 5, 000 textiles, pharmaceuticals and food processing jobs – in other words, it will focus on secondary production and high added value manual work. In the process the development is expected to add 500 million riyals – about $133.3m – to the Saudi economy. The building of the female-only city has come after government pressure to increase the female workforce, and the Deputy Director General of the Saudi Industrial Property Authority, Saleh al-Rasheed, told UPI that he was ‘sure that women can demonstrate their efficiency in many aspects and clarify the industries that best suit their interests, nature and ability.’ Saudi Arabia’s female workforce employment rate languishes around the 15% mark, and a recent Gallup poll found that an increasing number of businesses were insisting that women be unmarried to qualify for employment. In June, the country unsuccessfully attempted to persuade fellow OPEC members to allow a higher production ceiling. With a growth in oil revenue out of its government’s control, maybe Saudi Arabia is hoping to diversify its economy into industries suited to women’s abilities and natures, such as pharma and clothing production. It certainly looks that way; even before a brick of the new city has been laid, four more similar cities have been proposed. In addition to providing an economic boost to Saudi Arabia – if each of the five such projects meet the target income proposed for the Hofuf development, the initiative will be worth $666m to the Saudi economy – the plan might provide a safety valve for a major social pressure in Saudi society. YouGov and Bayt.com carried out a poll in July 2012 which found that 65% of Saudi women who worked wanted to increase their financial independence through their careers. In a society that restricts women’s opportunities so drastically, employment of any sort is likely to ease the frustration of Saudi women – at least in the short term. However, increasing education – leading to that pool of unemployed graduates that worries Ms. Al-Aun – together with internet access have contributed to Saudi women’s willingness to assert themselves that the Centre for Democracy and Human Rights calls ‘a game-changer.’ Without liberalization of Saudi society in other ways, the halfway house of women-only employment zones may turn out to be too small to accommodate the aspirations of the best-educated generation of Saudi women ever. Has the Dubai Property Market Recovered? Over the 16 weeks leading up to August 26, Dubai saw a bullish market driven by property. On Sunday August 12, Nakheel announced that demand was expected to remain high for properties on the island. The Dubai developer made the statement as it announced the sale of a 305,704sqft plot for Dh1,302 ($520) per square foot to an unidentified local investor. Nakheel went on to state that the value of residential plots on the Palm – particularly on Frond N had increased by 30 per cent in the past year. ‘We have seen a very healthy demand in the first half of 2012, and this looks set to continue for the year,’ Nakheel said, quoting a spokesman. 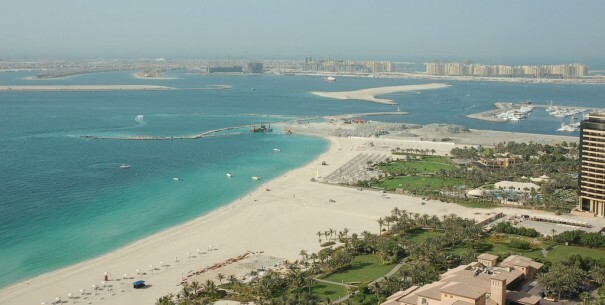 To date, Nakheel has sold over 80 of the 105 plots on the Palm, which have a total sales value of over Dh657 million. Earlier this year, a single 5,574sqm plot was sold by Nakheel for Dh87 million. Figures releases by the Dubai government showed that Indian citizens were the main buyers of luxury apartments and commercial space in the Burj Khalifa during the first half of 2012, spending $222 million, while Iranians came in second, spending $128 million. Dubai has recovered from the collapse of a property bubble in 2008 that cut home prices by more than 60% from their peak. However, Dubai now functions as a safe haven for regional investors as London does in Europe, according to Graham Stock, strategist at frontier fund manager Insparo in London, who added that ‘we see Dubai real estate performing well over the medium term,’ and that ‘safe-haven’ investment was drinving up real estate prices. In turn, this is buoying up Dubai’s stock market. This ‘safe haven effect’ could be driving Dubai’s current property expansion in 201, real estate contributed approximately 13% of Dubai’s GDP, almost as high a contribution as manufacturing. In July of this year, Nakheel announced its half-year financial results, declaring a net profit of Dh767 million, an increase of 36.5% over the Dh562 million it made in the same period last year. The company has also recently completed a restructuring exercise. The negative 14-day divergence at the recent high suggests that the market may flag temporarily, but will resume its upswing shortly, according to analysts. 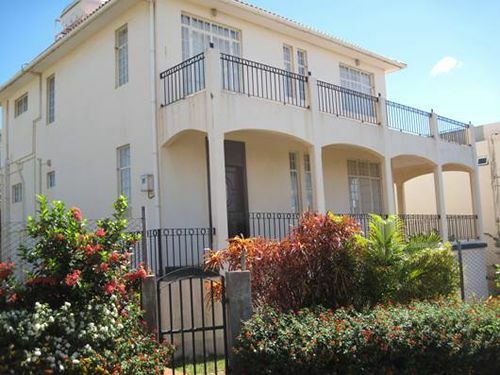 In the real estate letting and purchase market at the apartment level, there has been a rally of over 5% in the second quarter compared with 6 months ago, according to Frank Knight estate agents. 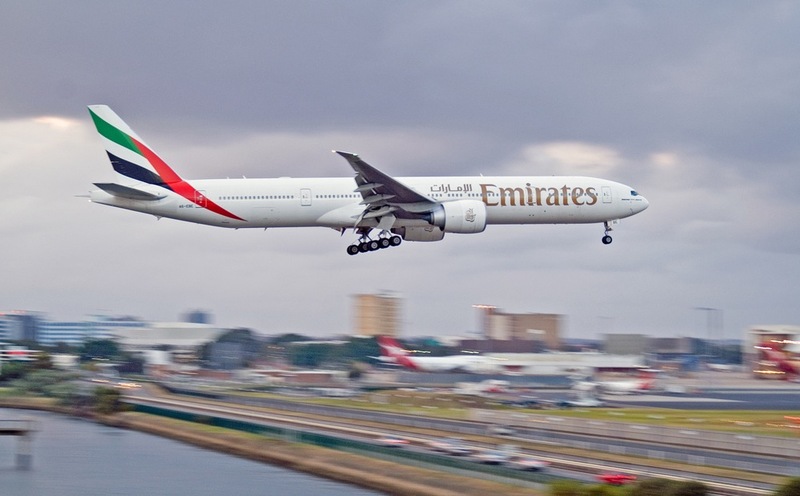 The UAE seems well perched on the formidable wings of its soaring aviation industry. Markets are swiftly jetting towards the promise land of both recovery and progress. The region is close to realising its long held ambition of piloting growth independently off its naturally occurring oil reserves (UAE is the 4th largest exporter of oil in the world), and is strategically building upon its tourism industry to provide the necessary traction. Some mixed news for Emaar properties, one of Dubai’s — state owned — master developers. That is, mixed news, not in a share of good and bad news, but rather in the fact that the bad news was tinged with goodness. The company posted a 69 per cent decline in net profits for the second quarter of this year, which is obviously not good news. However, the decline was largely put down to the equity-hit the company took for writing off its 30 per cent stake in Dubai Bank, which was taken over by the government earlier in the year. This is being reported as good for the company, because it removes a “corporate distraction” and absolves the firm of any further calls for equity injection. In short: allowing the developer to concentrate on development. Can Israel Shape up to be Next Dubai? 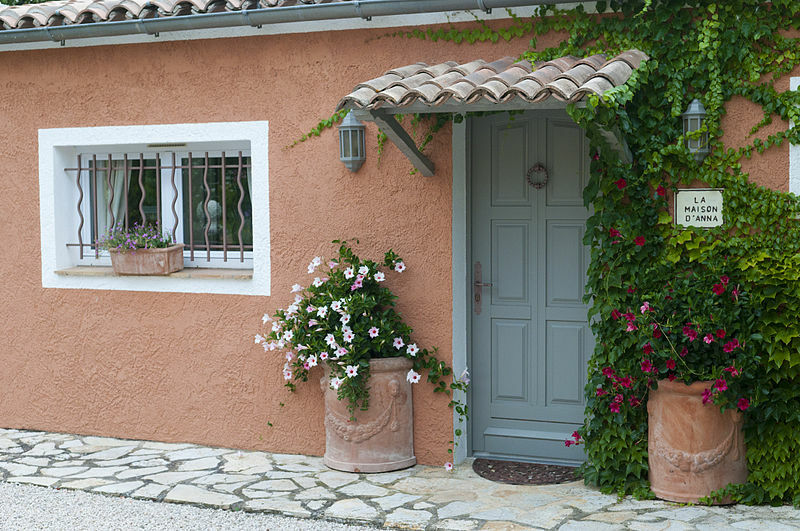 Israel is currently one of the hottest property markets in the world. With prices up 46% since 2008 in Tel Aviv, and Global Property Guide ranking the country’s property prices the 6th fastest growing in the world, with 4 of the other 5 recovering from a sharp drop, the Israeli property market is currently attracting more attention than ever. Could Bahrain be the Next Dubai? 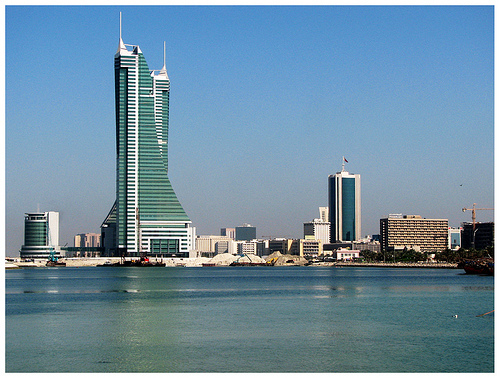 Bahrain is being noticed as one of the best property markets in the Middle East for foreign investment. The Middle East is a surprisingly popular property investment and relocation destination because of the wealth and job opportunities. Dubai was the number one spot for this before the crash, but now people are being put off by the continued volatility in the market; with failed developments littering the landscape and property prices still faltering. Could Bahrain take its place? Bahrain is an oil-rich country, in which oil revenues account for a domineering 25% of gross domestic product. 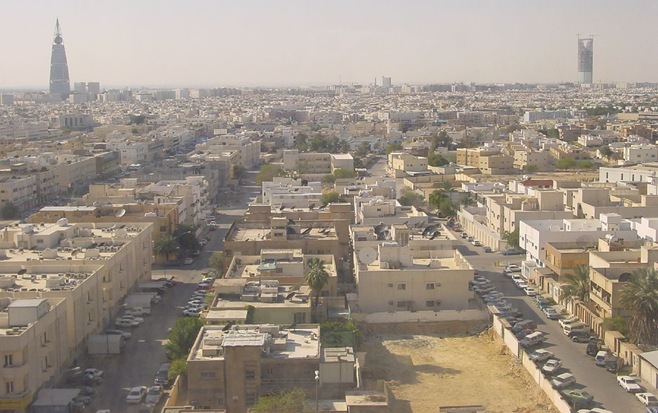 Keen to diversify its economy, the government is very much behind the property market, and is taking every measure possible to make it easy for foreigners to buy property in Bahrain. For instance foreigners can now apply for yr residency, which allows them to buy property freehold and is easily renewable every five years. Bahrain property prices fell by only 10% during the recent downturn, which is a solid performance compared to Dubai (300 miles east) where prices fell by closer to 50% at last count. Whereas many Dubai developments were cancelled, Bahrain’s were only suspended, and, according to reports all have now been resumed. But that is not the only difference; developments in Bahrain are focussed on low-rise elegance rather than high-rise razzmatazz. However, in other ways Bahrain is driving down the same roads as Dubai did, for instance walking round show apartments and villas in Bahrain you would be forgiven for thinking you were in a Marbella show house, with modern marble, granite and chrome dominant throughout. This is not a fault though; Bahrain wants to become a global real estate destination, and is rightly taking an international outlook on all aspects of property sales in order to do so, right down to the Marks and Spencers food in the show-house refrigerators. When you look at Bahrain now, you can see that it has the makings of being a sought after location for foreign purchasers; shops familiar to the west, i.e. BHS, M&S, Debenhams and Virgin line the streets, as well as designer boutiques by Gucci and Burberry, and the new luxury developments are being built around PGA golf courses. Bahrain is currently playing catch-up with Dubai, which is still one of the world leaders in business infrastructure. 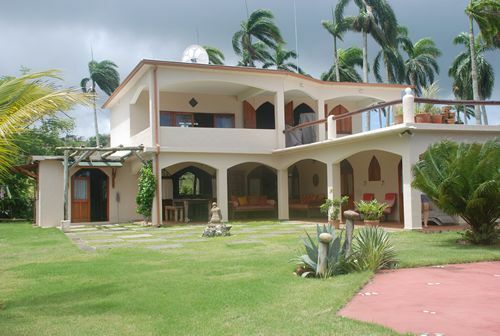 But this is easily made up for by the better economic prospects and stability in the property market. Bahrain is keen to avoid and hyperbole being attached to its construction industry and property market, so as not to deter foreign investment over fears of over-supply. Barring a few hiccups, like the 60 burial mounds — some 4,000 years old — razed by developers in a Buri village, which Bahraini authorities wanted to win UN designation as a world heritage site. Hiccups aside, Bahrain could easily replace Dubai as the hottest place for foreign investment and relocation in the Middle East and therefore in the world. Investment Boutique has just released its report into the Dubai real estate market entitled the Dubai State of the Market report 2010. The report is very downbeat in places, but very upbeat in its forecast of a near-complete turnaround in 2012. For instance: the firm believes that the over-supply of residential units will hit 110,000-115,000 by the end of 2012. This is one of the largest figures that have ever been put on the scale of Dubai’s residential over-supply problem. Another assumption the report makes is that confidence will return to the market in 2012. All these assumptions are made with very little reasoning behind them. On the other hand the firm predicts more project cancellations this year, as developers focus on completing those developments that are nearest completion, in order that they can collect on-completion bullet payments.